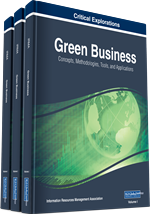 The purpose of this paper is to identify the key variables and develop the relationships among the green IT enabling factors which drive consumers towards green purchasing. In this paper Delphi technique and Interpretive structural modelling approach have been employed to model the identified factors. These variables are segregated as ‘enablers' that facilitate corporate consumers' to purchase eco-friendly IT products. The major finding of this research is power consumption, e-wastage disposal, product performance and global warming are underlined as significantly important enablers which also drives other factors. The variables are interpreted for sustainable procurement in terms of their driving and dependence powers. For true sustainability the corporate organisations should focus on considering environmental consciousness, Kyoto protocol, corporate social responsibility and eco-label certified products as main interest for green purchasing. Developing the present strategic model and validating it scientifically are further suggested as directions for future research. Green IT being a new area of study since 2007 was primarily looked from the corporate perspective and the consumer perspective has widely been neglected (Mines and Davis, 2007; Velte et al., 2008; Molla, 2008). As green IT includes the attributes related to energy consumption, disposals and recycling will also show influence on the purchasing behaviour of IT products (BITKOM, 2009). Pertaining to the literature review fifteen enabling factors were gathered and are explained below.